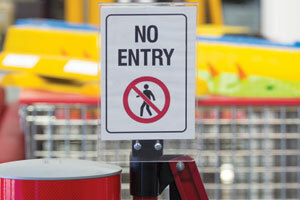 A wide range of accessories are available to complement your Port-a-Guard barrier system. Choose any of the products below to view further information. A freestanding surface mounted post for BPG300 and BPG600 models where it is necessary to fix the Port-a-Guard in position but there is no structure to mount it to. Made from powder coated steel and includes fixings to accept the wall receiver brackets (supplied). 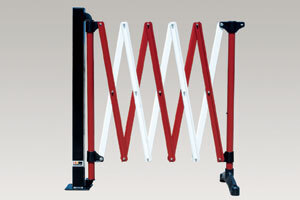 The mounting post is also compatible with expandable barriers using castors. BPG29SM Optional Port-a-Guard mounting post. 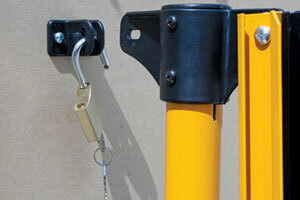 The wall receiver bracket is fixed to a wall or post and allows the Port-a-Guard to be retained in any location. Alternatively, when used with an extended wall mounted Port-a-guard, it allows you to close off an area to prevent access. BPG-WR2 Additional wall receiver bracket. 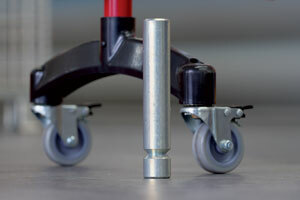 Optional locking castors inprove the mobility of your Port-a-Guard. 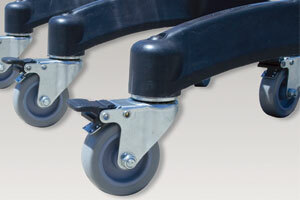 They (BPG-LC) can be quickly retrofitted to all Port-a-Guard plastic feet. Alternatively where space is at a premium the foot can be removed from the free post of a wall mounted Port-a-guard and replaced with a single (BPG-LPC) post mount locking castor. BPG-LPC Locking castor for single post. A 1.5kg steel weight for use with a Port-a-Guards used in windy outdoor environments. The weight simply slips inside the bottom of the Port-a-Guard post creating a low centre of gravity for improved stability, the weight is held in place by the post foot. Made from zinc plated steel. 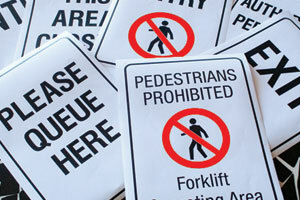 Sign Pockets are double-sided folded acrylic panels that can receive A4 or A5 signs from any office printer. They are attached to the wall/sign receiver bracket which in turn is fitted into the top of the Port-a-guard post. BPG-A4SH Optional A4 sign pocket. BPG-A5SH Optional A5 sign pocket. BPG-WSB Additional sign mounting bracket. Purchase our optional A4 or A5 sign holder pockets and print out your own sign faces or customised message on any office printer for FREE and never pay for signs again.